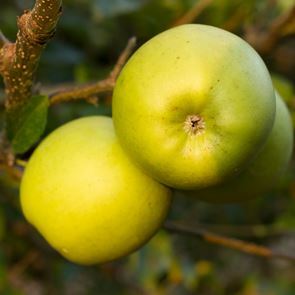 Yellow Transparent is a large, early-season culinary apple, originating from Russia but quite widespread in Europe and North America. In Europe, this variety is also known as White Transparent, and some areas it is called the glass apple, on account of its slightly translucent skin. It has a good taste when fully ripe, but does not store well so there is a short window for fresh eating. Reported to make very good apple sauce. Tree is very winter-hardy.